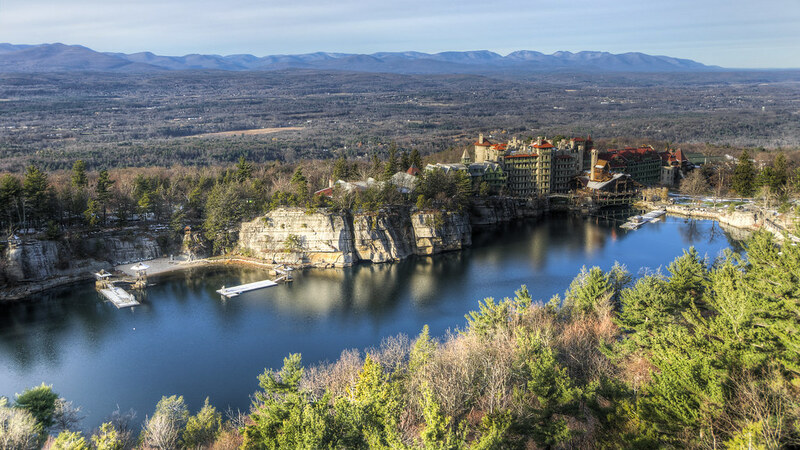 Literally on a lake near the top of a mountain, Mohonk Mountain House gave my childhood self the illusion of a flying castle. This particular image is an iconic one for me, but it’s also part of a family of “ubiquitous images” that come from photographing a landmark from one of the only available views: shots like the Yosemite tunnel view, or the Golden Gate Bridge and San Francisco, or the view of Manhattan over the Brooklyn Heights pilings. Any new image is just adding to the canon.